Brand-new vinyl windows from Majors Home Improvement are an exceptional option for your home in Navarre, Florida, or a nearby city. If the current windows at your residence are outdated, damaged, or leaking, then allow our professional team of highly trained window installers replace them with our Majors Select™ Replacement Windows. These durable windows are available in all of the most popular styles, including single hung, double hung, slider, casement, bay, and more. In addition, they are energy efficient and will keep the cold air out in the winter and the warm air out in the summer to help your home maintain a comfortable indoor temperature year-round. 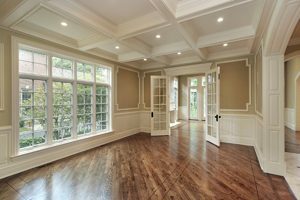 There’s no reason to choose any other window company in the Navarre, FL, area when you need well-made vinyl windows installed on your home. Contact Majors Home Improvement today to schedule a complimentary consultation.